What must it be like to come to work every day and enter a place where radiant light and vibrant color play to create a work of art? 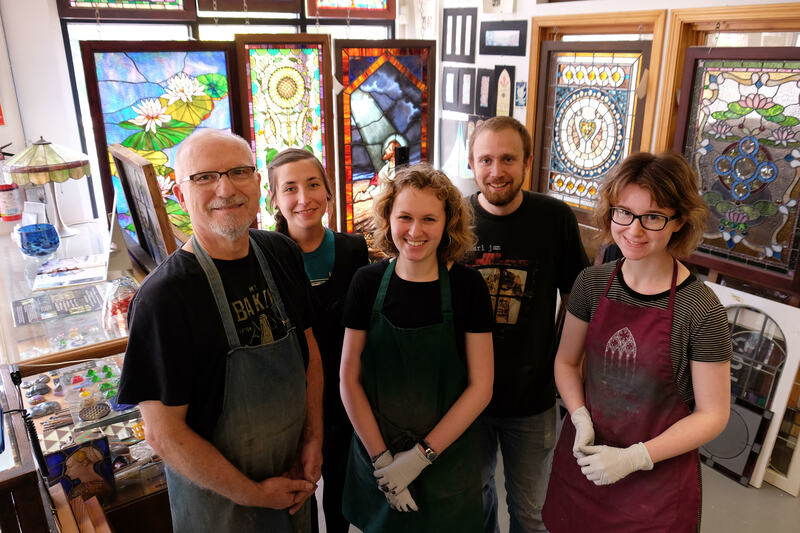 We visited renowned stained glass artisan, and Preservation Artisans Guild member, David Schlicker at his SE Portland studio to find out. From his start in the “old days” when he worked from a garage studio so small he had to lay out designs in the backyard, then go to the second floor to get perspective and confirm the lines – to today, when he and his staff work out of the David Schlicker Stained Glass Studio in Portland, Oregon, David has built a venerable reputation as one who honors the history, traditions, and art of stained glass windows. 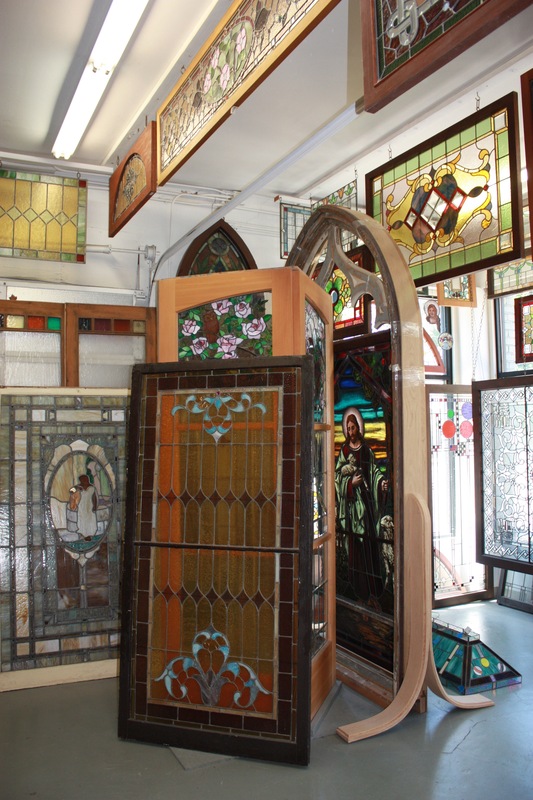 From the deceptively simple but elegant leaded and beveled glass Povey Brother windows to the organic landscape picture windows that are David’s favorite style, his studio is filled with wonders to rival Aladdin’s cave. David’s work can be found in homes, businesses (including Portland’s own McMenamins) and churches from Portland to Egypt. David’s incredible work can even be seen on a popular television show “Grimm” – in the front door window of character “Blutbot” Monroe. 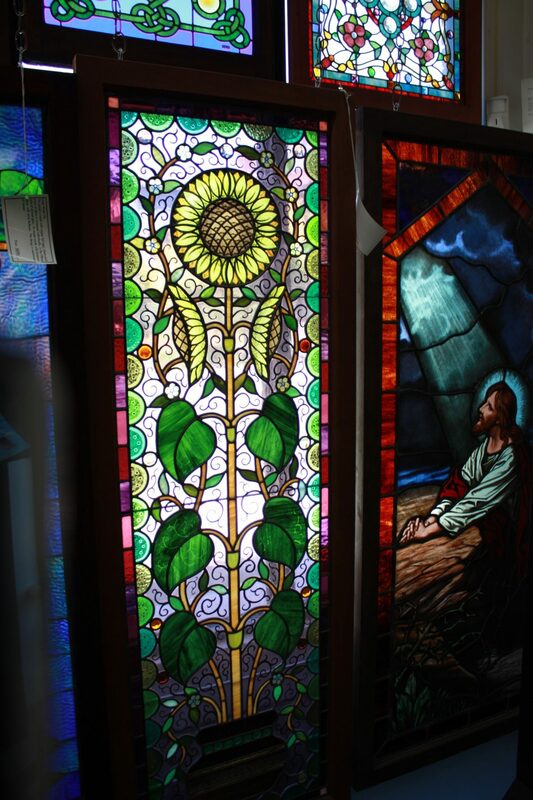 The art of stained glass has been around for centuries. Ancient Egyptians and Romans excelled at the manufacture of small colored glass objects. Early Christian churches from the 4th and 5th centuries contain some surviving windows filled with ornate patterns of thinly sliced alabaster set into wooden frames. Actual stained glass windows can be found in churches and monasteries in Britain from as early as the 7th century. During the Islamic period, the glass industry of Syria contributed the major development of highly transparent, colorless, gilded glass and in the Middle Ages stained glass reached people at a new level, often illustrating the narratives of the Bible to largely illiterate societies. Unfortunately, the various wars and revolutions that plagued humanity over the years, resulted in the devastating loss of countless of these beautiful works of art. Recent restoration projects have allowed current generations to get an idea of what the lovely cathedrals must have looked like in their prime. In addition to the Art Nouveau stained glass work of Louis Comfort Tiffany, the work of the Povey Brothers is also highly regarded in the history of stained glass. The Povey Brothers, a Portland, Oregon-based glass studio in operation from 1888 to 1928, was known as the “Tiffany of the Northwest”. Their windows are, to this day, considered to have extraordinary quality and a unique beauty. Many of their works can still be found in numerous landmark buildings in Portland. David and his exceptional team are proud to be involved in the careful cleaning and restoration of many of the surviving Povey windows. 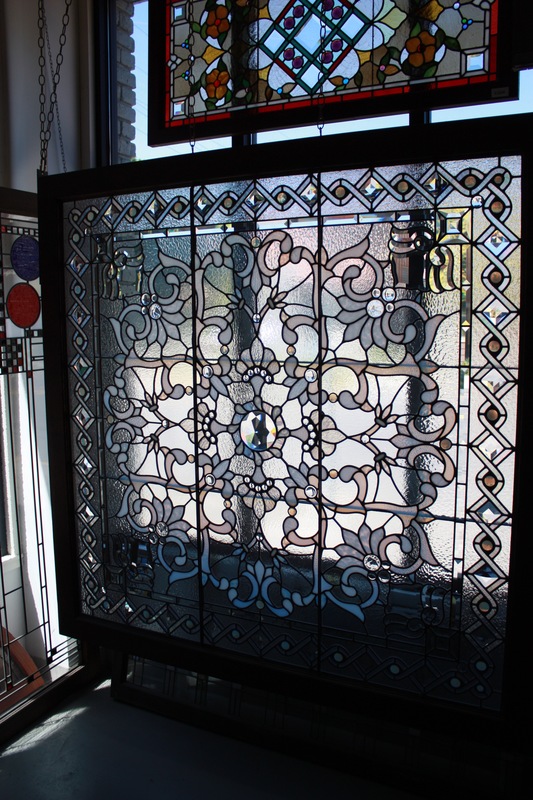 The process of producing stained glass has hardly changed in practice for over 900 years. Traditionally, a stained-glass window consists of pieces of colored glass held together in a latticed web of lead. In the early twelfth century, Theophilus, a German Monk, wrote a description of the techniques of making stained glass most of which is still consistent to this day. Glass is made by melting Silica in the form of sand and combining this with additional minerals, sometimes ash and limestone. To produce specific colors, the artist will add a selection of metallic oxides, or “salts”, resulting in the color they wish to use. Occasionally, windows are actually painted and “stained” in order to achieve the desired effect, or enhance the design. Windows treated in this style are usually fused to the glass in a kiln. 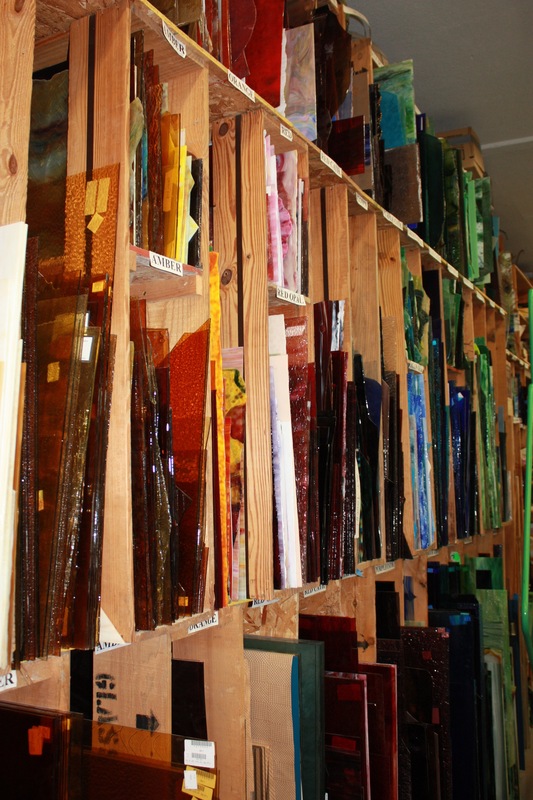 A stained glass artist must also have the traits of engineer and architect, in order to make sure that the window they create will fit snugly into the space for which it is made, as well as resist tough weather conditions including wind and rain, and also, especially in the larger windows, the stained glass window must be able to support its own weight. Visiting the studio Facebook page as well as the website will give you an insight into the work that he and his skilled team perform every day. The vibrant pictures tell the story of removal, restoration, and installation of these wonderful historic windows. Within David’s online portfolio, you’ll also find many examples of the gorgeous original and commissioned art he’s produced for his clients over the years. It is truly a feast for the eyes. 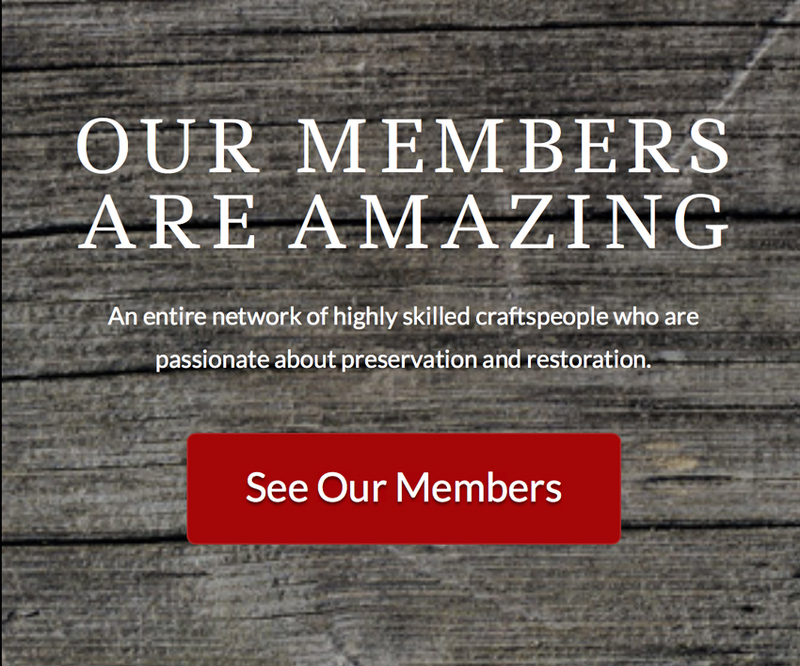 To speak to David about a stained glass restoration or a custom stained glass project you can reach him at the studio by phone at (503) 231-0086 most weekdays during business hours. Photos 1-4 courtesy and copyright Tess Strand 2016. Photo 5 courtesy and copyright David Schlicker Stained Glass.